US Competitiveness report released in January underscores the need for STEM (Science Technology Engineering and Math) education for our children. But the question is … how soon should the children be given the opportunity to explore STEM? 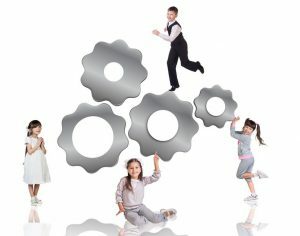 Could elementary age children benefit from STEM enrichment? The answer is yes because as we have seen as parents, children are naturally curious. They want to look under the hood, tinker and have fun. Basically, they have a fertile mind ready for planting the seeds of STEM. That leads to another question … is there a way for elementary age children to have fun with STEM? Yes … absolutely. Take a look at the happy faces of elementary age children having fun with STEM.